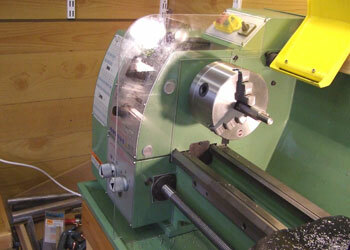 While using the lathe I noticed that quite a few chips end up on top of the headstock and also under the gearbox where it is particularly difficult to sweep out. This is very evident cutting brass when fountains of small chips get everywhere. Whilst this will do no harm I thought it might be worthwhile to erect a guard to prevent the worst and making cleaning up easier. I already had to hand a piece of polycarbonate sheet that I had used to make a chip guard for the WM14 mill so I worked with this to create a simple shield that could be easily fitted to the headstock. 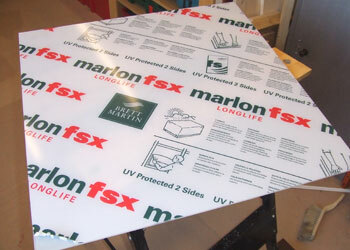 The polycarbonate sheet is easily cut with a jigsaw using a medium blade (2). 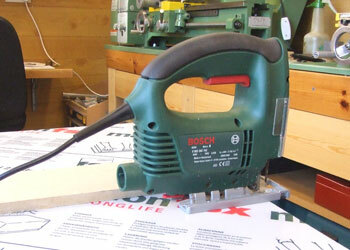 Curves need to be cut gently and slowly, let the saw do the work, if you go too fast the plastic can melt and stick. I cleaned up the cut edges using a small block plane for the straight edges and a file and wet and dry paper for the curves. I cut the screen to fit under the bed and around the leadscrew then down to the foot and into the swarf tray (3). To hold the screen in place I used a couple of rare earth button magnets (4). 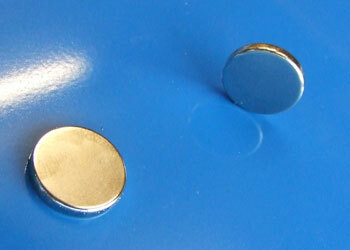 These magnets are very strong and tend to pick up filings and small chips if you inadvertently put them down on a dirty bench, they are then almost impossible to clean. 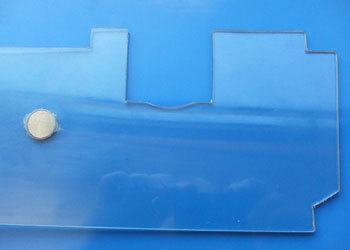 I mounted the magnets by milling a shallow recess in the polycarbonate and gluing them in. As can be seen from the white marks around the magnet (3) I was a little over-enthusiastic with the super-glue. 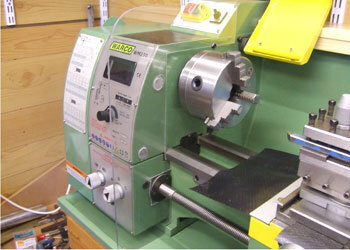 In use the screen clips into place and is held securely to the headstock by the two magnets (5). The top section above the chuck isn′t held in place as such but has a small semi-circular cut out that rests on the cap-head screw that retains the rear chip guard. Removal for chuck changes is very quick, just grab the corner and pull. The screen works well stopping all but the most determined chips from getting under the gearbox and onto the headstock. So far the screen has remained pretty well scratch free but seems to attract plenty of greasy marks (6).